This multiclinic study investigated the prevalence of TTTS symptoms and AS in tinnitus and hyperacusis patients. This study included consecutive patients with tinnitus and/or hyperacusis seen in multiple clinics. Data collected: Symptoms consistent with TTTS (pain/numbness/burning in and around the ear; aural “blockage”; mild vertigo/nausea; “muffled” hearing; tympanic flutter; headache); onset or exacerbation from exposure to loud/intolerable sounds; tinnitus/hyperacusis severity. All patients were medically cleared of underlying pathology, which could cause these symptoms. 60.0% of the total sample (345 patients), 40.6% of tinnitus only patients, 81.1% of hyperacusis patients had ≥1 symptoms (P < 0.001). 68% of severe tinnitus patients, 91.3% of severe hyperacusis patients had ≥1 symptoms (P < 0.001). 19.7% (68/345) of patients in the total sample had AS. 83.8% of AS patients had hyperacusis, 41.2% of non-AS patients had hyperacusis (P < 0.001). The high prevalence of TTTS symptoms suggests they readily develop in tinnitus patients, more particularly with hyperacusis. Along with AS, they should be routinely investigated in history-taking. 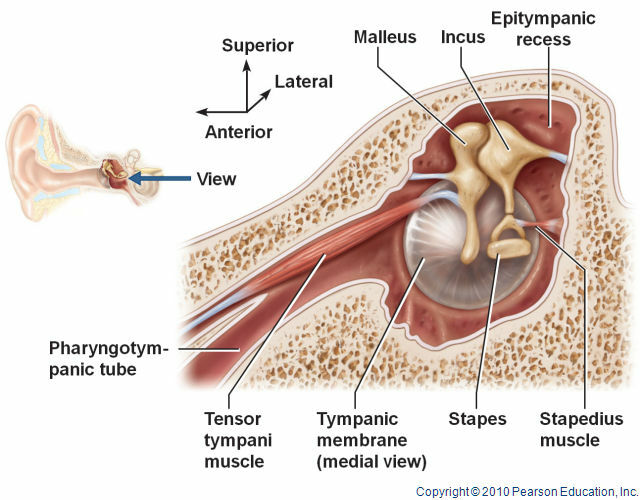 Tonic tensor tympani syndrome (TTTS) was originally described by Dr. I. Klockhoff. TTTS is an involuntary condition where the centrally mediated reflex threshold for tensor tympani muscle activity becomes reduced, so it is continually and rhythmically contracting and relaxing. This appears to initiate physiological reactions in and around the ear without objectively measurable dysfunction or pathology. Symptoms consistent with TTTS can include: tinnitus; rhythmic aural sensations such as clicks and tympanic membrane flutter; alterations in ventilation of the middle ear cavity leading to a sense of aural blockage or fullness, a frequent aural “popping” sensation and mild vertigo; minor alterations in middle ear impedance leading to fluctuating symptoms of “muffled” and/or “distorted” hearing; irritation of the trigeminal nerve innervating the tensor tympani muscle, leading to pain, numbness and burning sensations in and around the ear, along the cheek, neck and temporomandibular joint (TMJ) area. The specific and consistent cluster of physiological symptoms of acoustic shock (AS) is consistent with TTTS, without underlying aural or TMJ pathology. AS can occur involuntarily after exposure to a sudden unexpected loud sound perceived as highly threatening (acoustic incident). AS becomes an acoustic shock disorder (ASD) if symptoms persist. AS was originally identified in call center staff, who arevulnerable to AS because of the increased likelihood of exposure near the ear(s) to an acoustic incident transmitted via a telephone headset. The research on AS has focused on this cohort, however acoustic incidents can occur anywhere. Faux-green, fighting wind turbines, Harm to Children, Health, Noise & Infrasound, Return to sanity!